Milwaukee It is impossible to be in Milwaukee for more than fifteen minutes and not hear about the surprising success of the Milwaukee Bucks basketball team this season and their breakout star, known affectionately as the Greek Freak. You figure? It is also impossible not to spend time in a community and with an organization like Amani United and not hear about the new Bucks stadium and the $250 million, and possibly double that figure, in tax breaks and public support the hedge fund team owners received to build the stadium. Hearing Amani members talk, it seemed to be a story of a community benefits agreement that provided few benefits for the community. 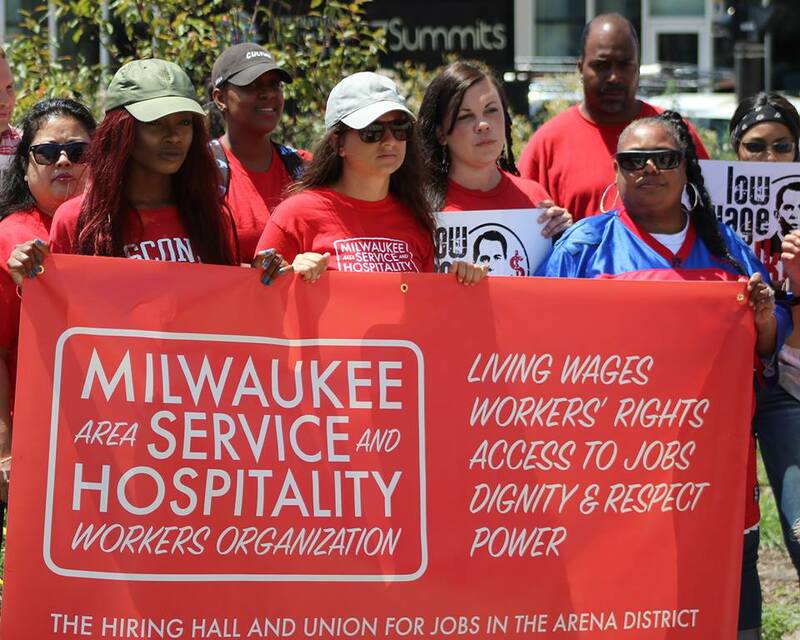 I have known Peter Rickman, the executive director of MASH, the Milwaukee Area Service and Hospitality Workers Organization, for years, so I reached out for him to find out more about the agreement and how it worked, since MASH was at the heart of it. Without question, their victories in this agreement were a masterstroke of political and organizational savvy. Key to their ability to negotiate the agreement in labor’s interest was their ability to anticipate what the New York-based new owners would need in order to make a deal for the stadium. Reading reports in the area newspapers it is clear that despite a hard right Republican governor at the time, the infamous labor union basher Scott Walker, and a Republican majority legislature, the alliance assembled to meet this challenge was able to leverage support from the Democratic minority in Madison, the state capital, and among party allies in the County and City government to back the deal. Given the huge billion-dollar giveaway by Walker and his cronies to Foxconn to develop their plant in Wisconsin, labor probably realized that another giveaway was inevitable at some level, so took the lemon and swallowed the lemonade in supporting the giveaway. In the realpolitik the community may not have been on the winning end initially, but MASH negotiated an excellent agreement for labor, winning living wages starting at $12 per hour for workers, union organizing rights, and, most importantly, a hiring hall that would process applications and assure that at least 50% of the workers came from enumerated zip codes, including Amani’s, where unemployed was significant. The hiring hall could be a significant community benefit, but right now in building MASH as a different type of union, it’s already huge. Wisconsin is now a right-to-work state so whether deliberately or indirectly borrowing a page from the great success of the Culinary workers union in Las Vegas, they negotiated first crack at incoming workers for referral and training similar to what exists in Nevada, allowing a high percentage of voluntary union enrollment from the point of employment. MASH files LM’s with the US Department of Labor as a labor organization, so of course under established rules for hiring halls there can be no discrimination in hiring based on membership or nonmembership in a union, but if the old saying about business success is “location, location, location,” then for a union “access, access, access” to the workers is equivalent. Importantly, the agreement MASH negotiated with the Bucks development operation covers not just the arena and the area that will be the site for the 2020 Democratic National Convention, but the entire development footprint of the former city-side brownfield making this a deal that will keep on giving in building a very different and potentially significant labor union, strongly supported and affiliated with the Service Employees International Union (SEIU). 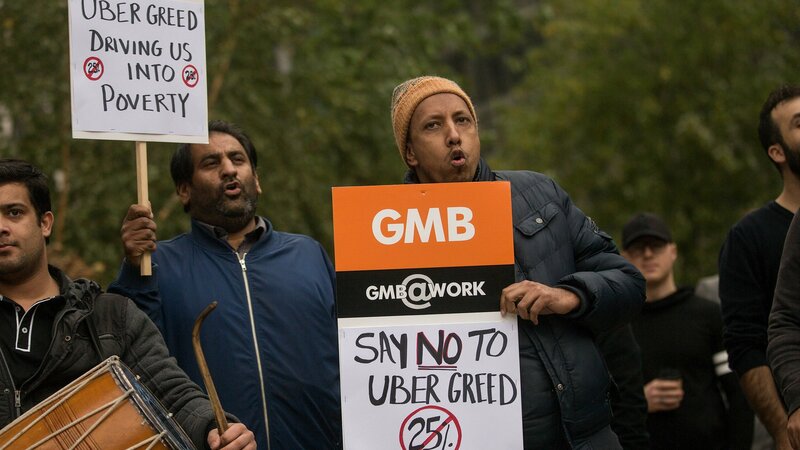 During this dark period for union organizing in many quarters, this is a union worth watching. Meeting with MASH, I was also convinced that it can also be an opportunity for an equally impressive labor-community alliance in the future, which might not justify the recently rejected Amazon-NYC level giveaway, but could balance out the concerns for the entire community’s benefit in the future.